Will my pet containment system work during the wintertime? As long as you bury the boundary wire and adjust the control box to compensate for thick layers of snow on the ground, Invisible Fence of Newtown, in Connecticut, insists that your pet containment system will work just fine. Dog owners have not reported having any problems with their invisible fences despite occasional heavy snows in the Northeast. Install The Wiring Correctly: While it’s not required to bury your boundary wire during the initial installation, it’s recommended to do so if you experience any amount of snow during the winter. If you decide to use a snow plow or shovel, you can accidentally damage the wire if it’s not buried. Turn Up The Signal: As snow starts to accumulate on your lawn, you’ll need to dial up the control unit to accommodate for it. Otherwise, your dog may not receive a strong enough signal to know where the boundary is located. Train Your Dog: Just like any other time of the year, a pet containment system is only useful if you train your dog from day one. This means spending time with them outdoors to slowly get them acclimated to the invisible fence so that they understand the boundaries around your yard. 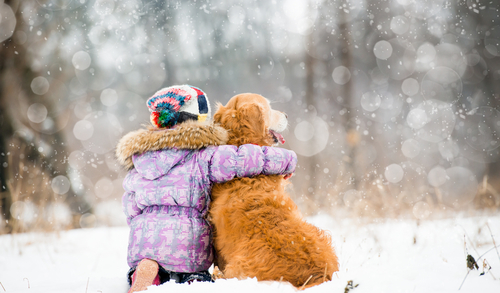 Using a pet containment system during a snowy winter is easy if you follow these tips. For more information, call Invisible Fence of Newtown at (888) 429-2421, or visit them online to set up a pet containment system today.